While most Americans were out drinking, barbecuing, and setting off fireworks on July Fourth, more than a dozen employees at an Italian restaurant in Florida were finding out they'd all been fired, via a text message from their boss. Gregory Kennedy, the owner of Barducci's Italian Bistro in Orlando, decided, for reasons that still aren't clear, to close down his restaurant earlier this month. 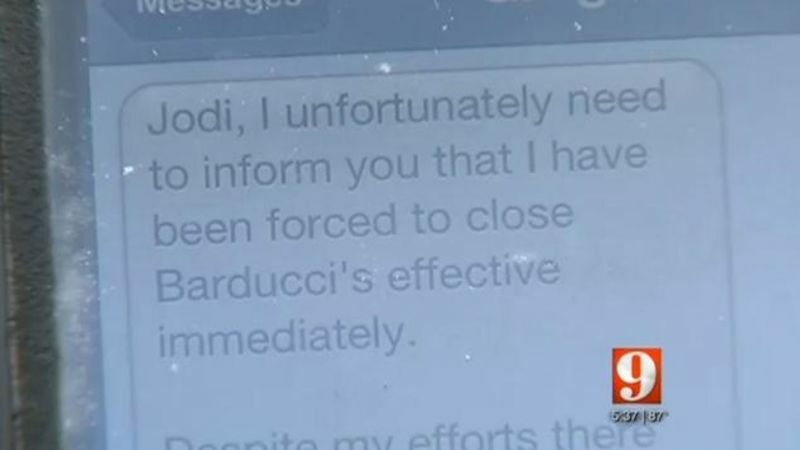 But instead of holding an all-staff meeting, he sent the following text message to his employees on their day off: "I unfortunately need to inform you that I have been forced to close Barducci's effective immediately." Kennedy refused to answer or return calls from WFTV, though he did eventually reply to the station...via text of course. "Unfortunately businesses are forced to close across Orlando every day especially in the restaurant sector," Kennedy said via text. 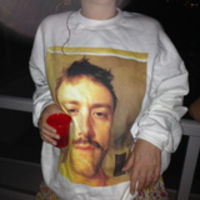 "I am working to resolve issues including final paychecks as quickly as possible."